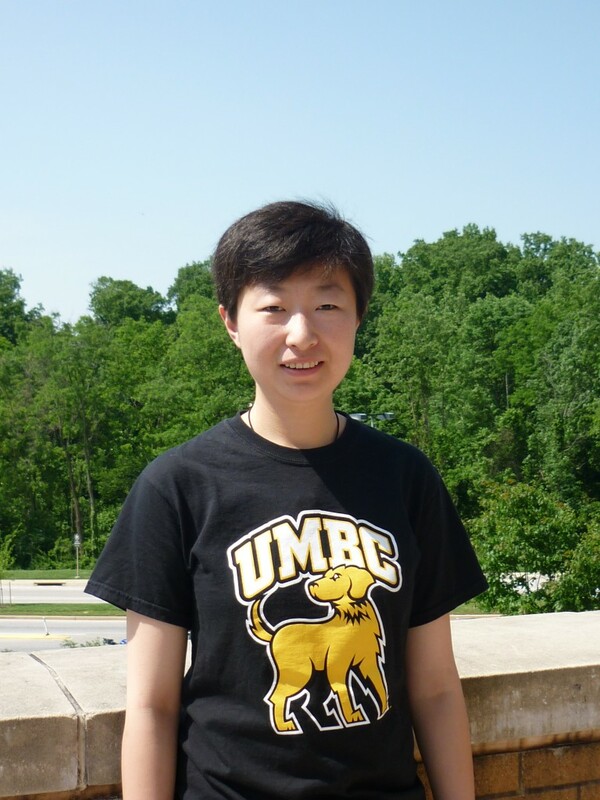 Originally from China, Yu came to UMBC in 2009 to get her Master's in Computer Science, and is now working towards her Ph.D. When she's not studying, Yu likes to build remote control cars, watch movies, musicals, and operas, and solve Rubik's cubes. 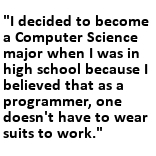 I decided to become a Computer Science major when I was in high school because I believed that as a programmer, one doesn't have to wear suits to work. After I got into college, I found myself spending a lot more time on programming than anything else, that's when I knew I've made the right decision. Although, my mom always tells me that I should've been a Mechanical Engineering major, since I'm also good at buildings things. I was the treasurer of the UMBC ACM Student Chapter between 2010 and 2012. And, I'm currently a member of the VANGOGH research lab and the UMBC High Performance Computing Facility (HPCF). For my Master's thesis, I worked on designing an efficient GPU/CPU hybrid framework for reconstructing 3D models from sequences of real world photos. I'm currently looking into the state-of-the-art radiative transfer models used by physicists in global warming research, and am trying to find a more efficient way of modeling the climate change. My primary research area is computer graphics, and there are existing algorithms in graphics for modeling the radiance transfer of the light in the visible spectrum, and we want to find out if we can apply similar methods to model the radiative transfers in the atmosphere. I'm part of the Ecosynth research project funded by the National Science Foundation (NSF). My work is to develop an efficient framework for reconstructing forest canopies on mobile computing platforms. I also work on designing parallel GPU algorithms for existing mathematical algorithms for the HPCF. After graduation, I would love to get a research position at the Jet Propulsion Laboratory (JPL), which is where a computer graphics giant, James Blinn, first started his career. My dream job is a research position at the R&D group of the Weta Digital visual effects studio in Wellington, New Zealand. Wherever you go, you can always see people studying. I chose UMBC because the CSEE department provided me with the offer to work as a graduate teaching assistant during my study here, which was a great opportunity for me to help undergraduate students with courses I've been very good at. Besides, as a graduate assistant, there are more chances for me to communicate with faculty, staff, and students in the department. My first Computer Science course was CMSC 655 (Numerical Computations) with Dr. Brooke Stephens. My favorite Computer Science courses were CMSC 611 (Advanced Computer Architecture) and CMSC 691 (Graphics for Games), both with Dr. Olano. I would recommend both classes to students who have an interest in computer graphics and graphics hardware. The faculty and staff are very nice and helpful. The professors are actively involved in both research and teaching. Try to attend research lab meeting and find out what they are working on, talk to professors and find opportunities to get involved in research projects as early as you can.